Jacqueline and Bart wanted to get married in Tuscany, an early May wedding in the presence of their friends, family and church. 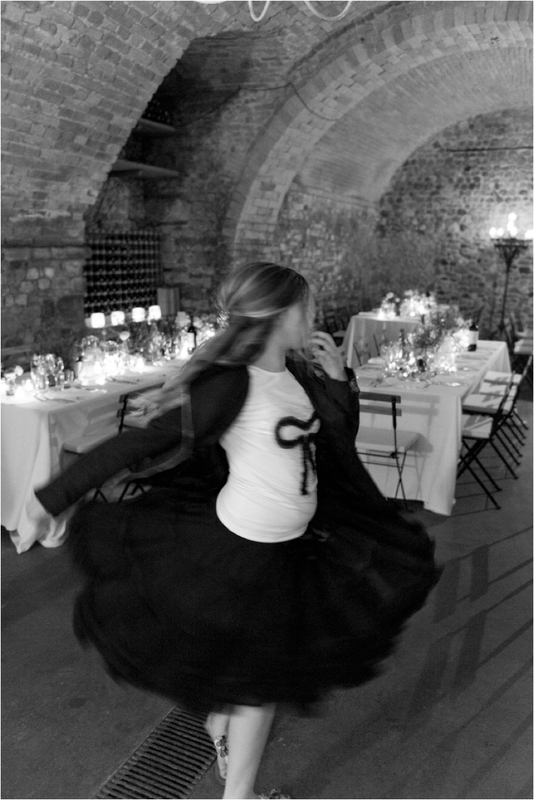 A beautiful religious ceremony in the romanesque church on the castle property we love so much. 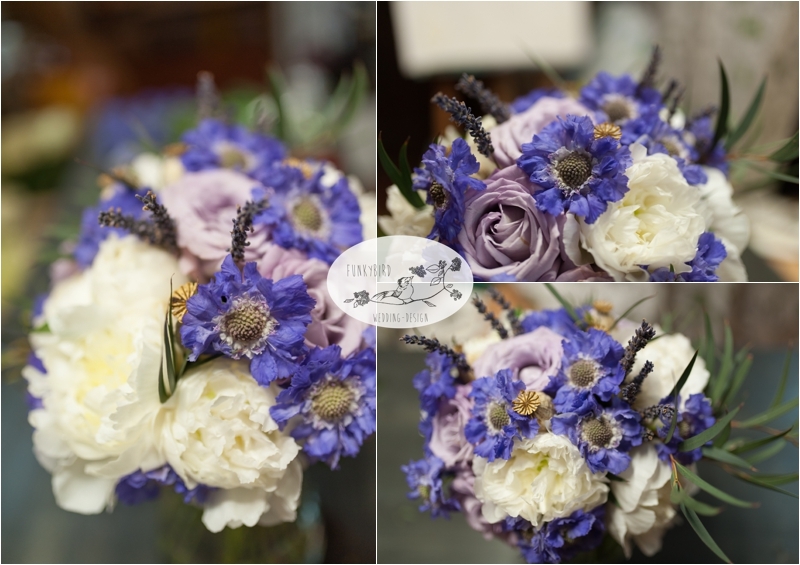 One of my favourite colour combinations is lilac, lavender and some silver spark, lots of candles and herbal plants like rosemary. 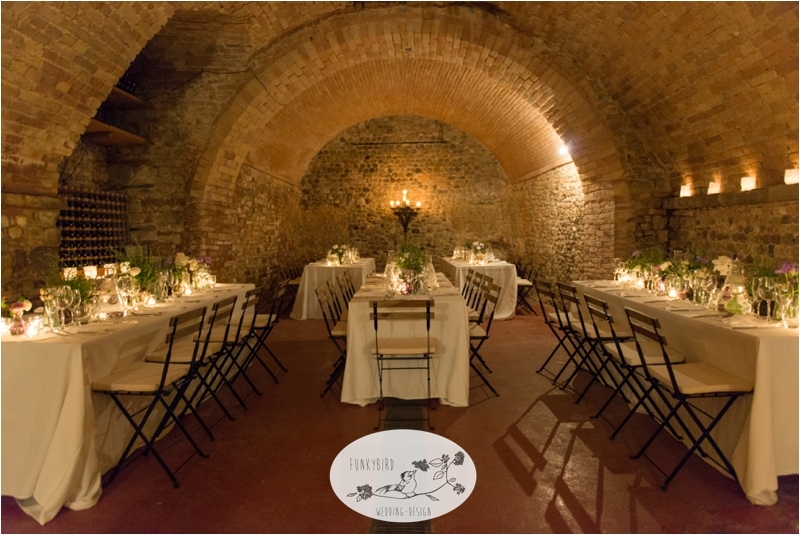 I love the rustic tuscan feel for weddings, especially in locations such as these. Jacqueline was a beautiful classic bride and Bart just couldn't keep his eyes away from her. And even though the weather wasn't perfect, this couple enjoyed every minute of their Italian Wedding. 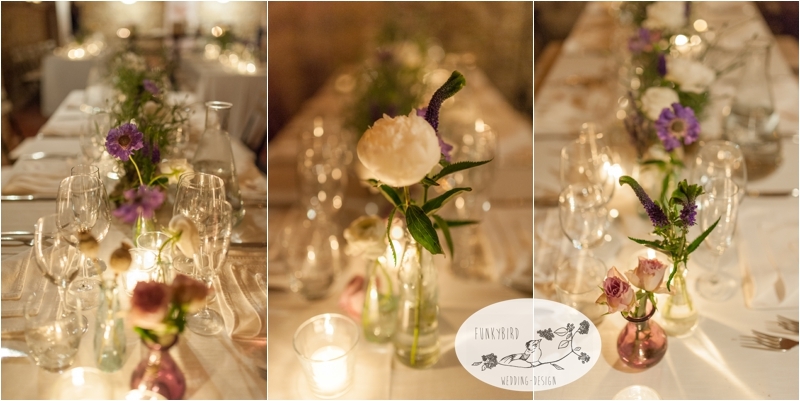 The images have been captured by FunkyBird Photography and Trouwen in Toscane had organised this wedding perfectly!